This Wednesday evening the British parliament votes on a range of alternative options to Theresa May's much-criticised Brexit deal. Hours before the vote, the British prime minister once again defended the withdrawal agreement she negotiated with the EU, saying other options would lead to "delay, uncertainty and risk never delivering Brexit". MPs will be given a ballot paper with a list of options for different kinds of Brexit, from staying in a customs union with the EU, to leaving without a deal or revoking the divorce papers altogether. "It is widely expected that whatever majority they do come up with will be a softer form of Brexit than what's currently on the table with Theresa May's withdrawal agreement," explains our correspondent Tadhg Enright. This could paradoxically help Theresa May, by convincing hard Brexiteers to fall in line with her plan even after it was twice rejected in parliament. That's what one Tory rebel MP, Michael Fabricant, told Euronews today. 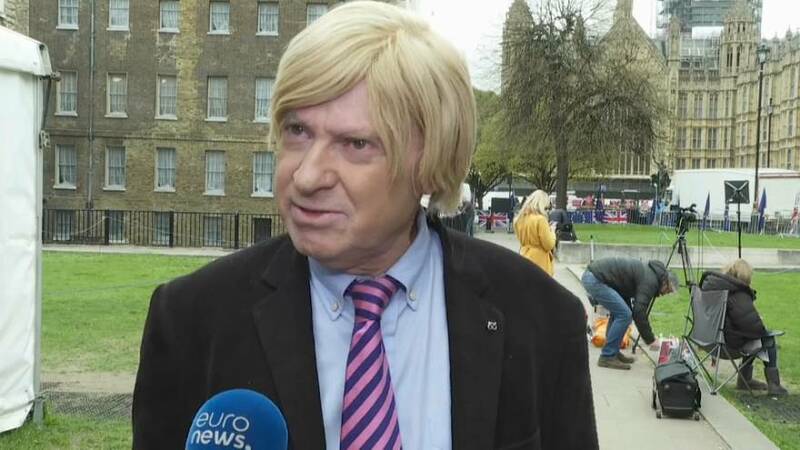 "What is happening in parliament now is leading to, frankly, staying in the EU, and that would be a huge betrayal of the 17.4 million people who voted for Brexit," said Fabricant, who twice voted against May's deal. "So I think as a tactic, I may well have to vote for this withdrawal agreement - at least it gets us out of the EU." Find out more about tonight's so-called indicative votes and watch MP Michael Fabricant's full interview on Euronews Now in the player above. Your Call in full: Have Britons changed their mind on Brexit?